Is your website mobile friendly? Well, it better be, time’s running out. 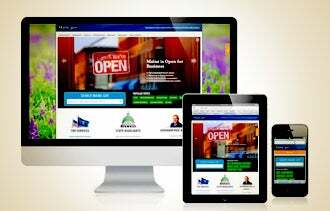 Time is running out for those who are mulling over whether their website needs to be mobile or tablet friendly. The trouble is, most business websites are still designed with only a desktop or laptop computer in mind. When you view a typical business website on the browser of a mobile device, it usually requires pinching, zooming and scrolling just to see what’s on the page. And interacting with the site via a touchscreen can be clumsy at best. And now, with Google coming up with an update that it will drop the rankings of websites that do not fulfill the requirements of being viewable on a mobile or tablet or responsive (technically speaking), you need to spring into action and take action! You need to look at a website that is good not only on desktops, but also on laptops, tablets and mobile screens so that they adapt to display the content of the website neatly, without the website visitor trying hard to do so. At SDA, we’ve been at the forefront of creating beautiful website designs that are responsive, it’s been that way since 2013, as we could foresee the future of mobile computing.